The future of the Eastern Economic Corridor (EEC) could hang in a balance as it remains uncertain which parties will form the new government. The EEC, the massive-scale infrastructure project stretching across three eastern provinces, is seen as a brainchild of the outgoing Prime Minister Prayut Chan-o-cha government. Therefore, some questioned what would happen to the EEC if Palang Pracharath Party fails to form the coalition government, or if the new government comes from the other side and wants to undo the legacy of Prayut government. Kanit Sangsuphan, the EEC Secretary General, tried to calm down the investors’ concerns over the future of the EEC. He said that five major infrastructure projects inside the EEC are on track and scheduled to be approved by the Cabinet in April. The first project is the development of the Eastern Airport City and U-Tapao airport, which requires Bt290-billion investment. As things stand now, the Royal Thai Navy is considering proposals from three consortiums which submitted bids to develop the project on March 21. The winning bid will be announced in April. The second project is the Bt180 billion high-speed rail linking three airports, namely Suvarnabhumi, Don Mueang and U-Tapao. The State Railway of Thailand acting governor Worawut Mala said that a Charoen Pokphand Group (CP Group)-led consortium has offered the lowest bid. However, the group has asked the SRT to put on hold the talks from late March to April 4 in order to finalise the financial issues with its Chinese partner. 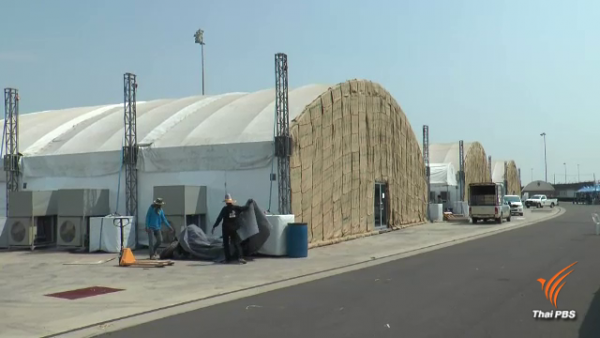 The other three projects include the Bt60-billion Phase III Map Ta Phut Port development, the Bt110 billion Phase III Laem Chabang Seaport development and the Bt10 billion project to build the U-Tapao Maintain, Repair and Overhaul Center to serve aviation industry there. Kanit said that if these five projects are implemented, they will add a total investment of Bt650 billion in the next five years. The projects will be carried out under the Public Private Partnership format or a joint investment between the government and private sector. 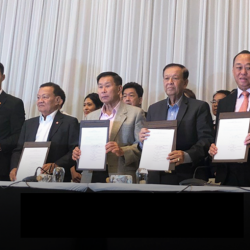 Kanit said that he expected the agreements with the bidding winners of these five projects to be signed by April or before the new government is formed. 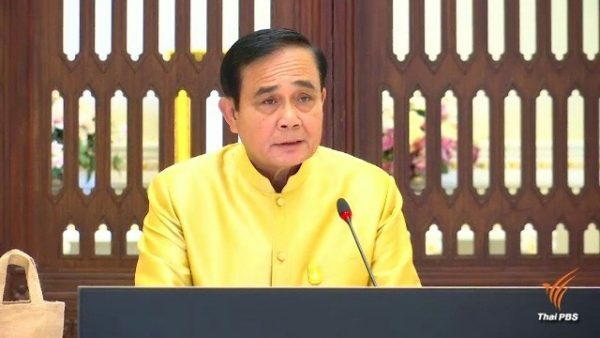 The Prayut government has promoted the EEC project as part of its Thailand 4.0 plan to help Thailand overcome the middle-income trap. The government hopes that the EEC, covering Chachoengsao, Chonburi and Rayong, will replicate the success of the Eastern Seaboard which successfully promoted Thailand’s industrial development over 30 years ago. With target industries including high-tech automobile, aviation and medical service, the government hopes the EEC will leapfrog Thailand toward digitalization and new innovation as well as attract foreign investment into the country. At any rate, the EEC project was not the main topic during the general election. The military-backed Palang Pracharath Party seems to be the only political party which has committed to continue the EEC project. 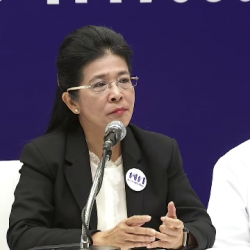 Pheu Thai Party said it would expand the EEC privileges beyond the three provinces to cover others nationwide and focus more on local companies. 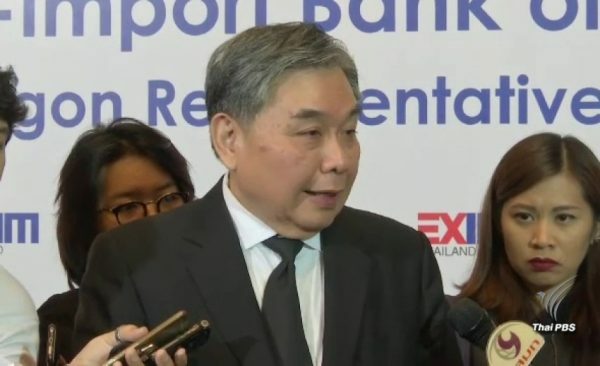 Suphan Mongkolsuthree, Chairman of the Federation of Thai Industries, said that from what he has heard during the political debate, he thought the EEC would go ahead. “Every political party said it will continue the EEC project, if only the format may be different. Some party said it will focus on original three provinces, some party said it will expand EEC nationwide. 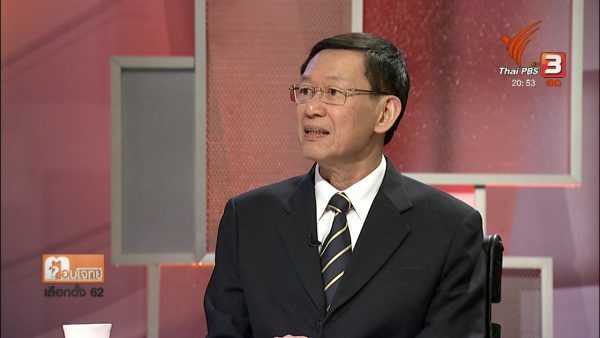 But everyone agrees that the EEC will benefit the country’s economy,” said Suphan. Nonetheless, there are some concerns regarding the EEC. First, there are questions whether Thailand is sufficiently equipped with enough qualified human resource and technology to serve the high-end industries that the EEC aims to promote. Secondly, the local communities have already voiced concerns over the availability of resources especially water to serve both the agricultural activities and the new industrial facilities in the eastern provinces. It is estimated the demand for water in the eastern region will increase from 739 million cubic meters in 2017 to 1,210 million cubic meters after the EEC. The communities in the eastern provinces have experienced the “water grabbing” situation from the Eastern Seaboard before, in which a large amount of water was diverted to serve industrial factories. The third issue is the environment impact from the EEC as the industrial facilities will be located in the coastal provinces and close to community areas. Plus, the disaster from oil spill in Map Ta Phut a couple of years ago was only a recent memory. Saowaruj Rattanakhamfu, a researcher at Thailand Development Research Institute Foundation, said the government has not done enough to listen to local communities. She said that the government needs to reach out to people in the communities and listen to their concerns about the EEC. She said, “The interaction must be done regularly to ensure that the EEC will benefit both sides”.